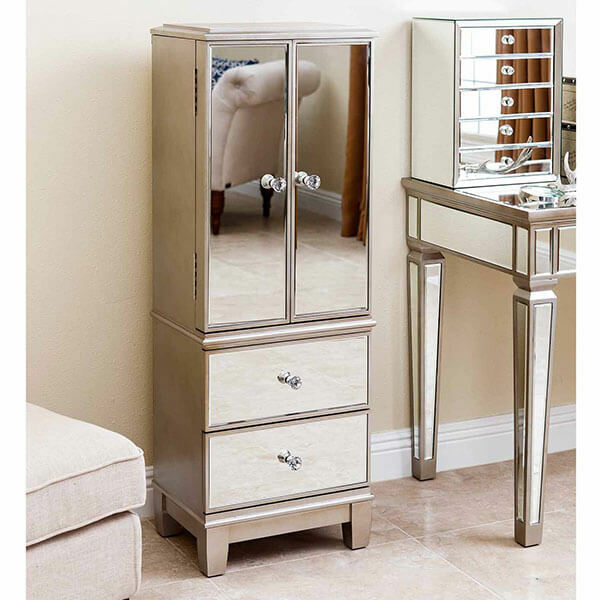 Add elegance and shine to your powder room with the Powell Mirrored Jewelry Armoire with Silver Wood. This Powell Mirrored Jewelry Armoire with Silver Wood is a jewelry armoire that is covered from top to bottom in mirrors. It offers plenty of shelves for you to open and store jewelry in. 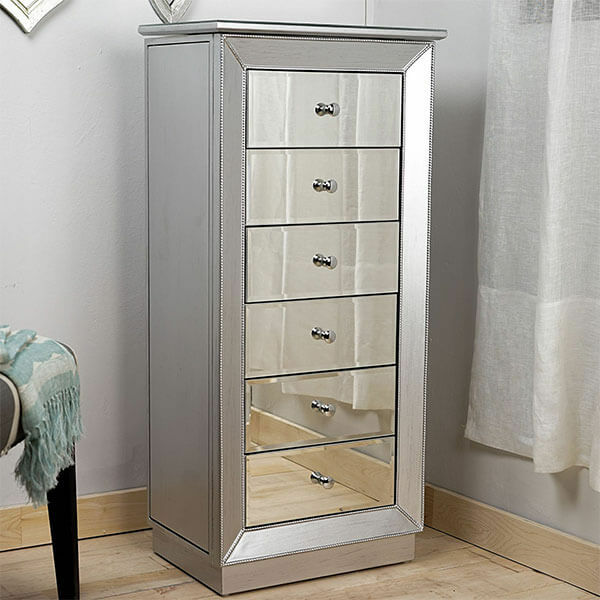 With seven drawers running up its length and two long doors on either side, the Elegant Lighting Danville 7 Drawer Mirrored Jewelry Armoire in Silver is a spacious armoire for you to store your jewelry. It features seven drawers and two long doors for the storage of your most prized accessories. 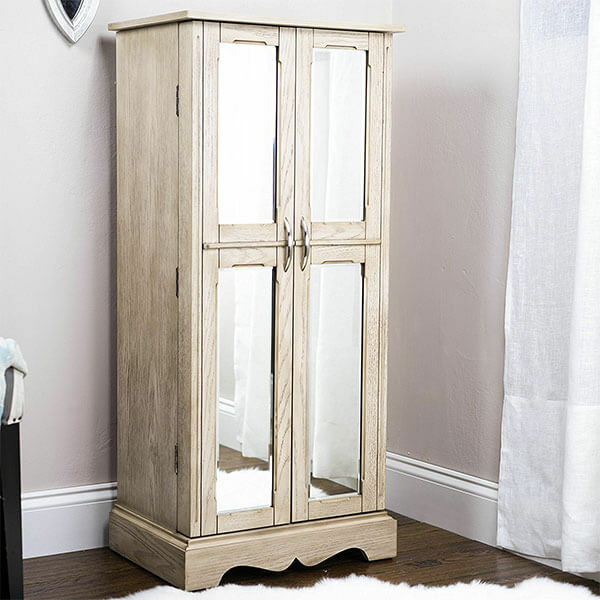 Rustic and chic, the Hives and Honey Chelsea Armoire, Grey Mist allows you to store any of your clothing with ease. It features mirrors on the front of its doors as well as thin, silver-toned handles that shine with the mirror. Inside, there are seven easy-open drawers. 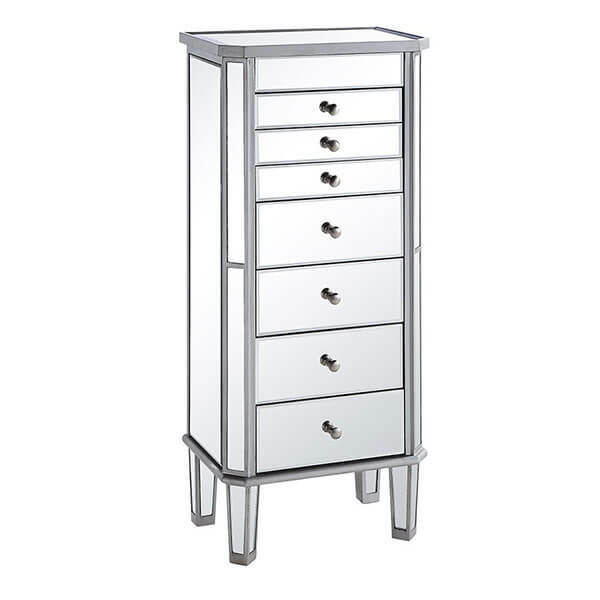 Dazzling and bright, the Hives and Honey Mia Jewelry Armoire, Metallic Silver is a detailed, mirrored armoire suited for any room. It features six large pull-out drawers for storage, and the lid on the top opens up to show another mirror as well as a compartment for jewelry. 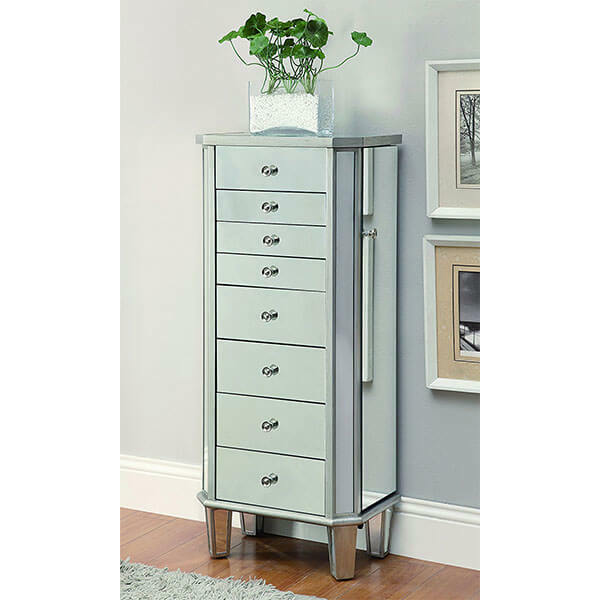 The Coaster Home Furnishings Contemporary Jewelry Armoire, Antique Silver is a slender armoire that can hold most all of your jewelry. It features seven drawers in the front and can hold makeup, bracelets, rings, accessories and more. The top flips open to expose a felt-lined compartment. 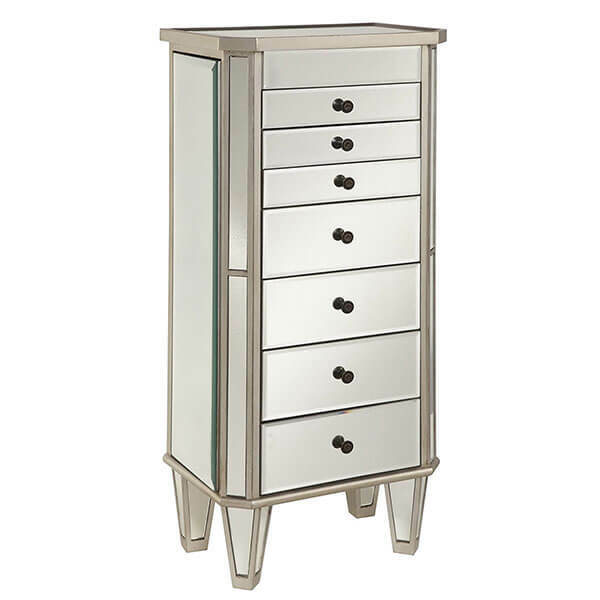 Sleek and simple, the Abbyson Sophie Mirrored Jewelry Armoire is a mirrored armoire fit for any room. Made from wood, it measures 46 inches in height by 16 inches in width by 12 inches in depth and requires no assembly. There are two doors and two drawers.